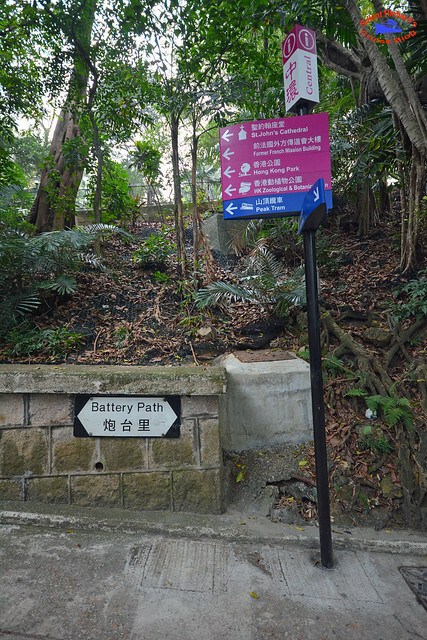 Welcome to this, my take on something different to do while in Hong Kong. 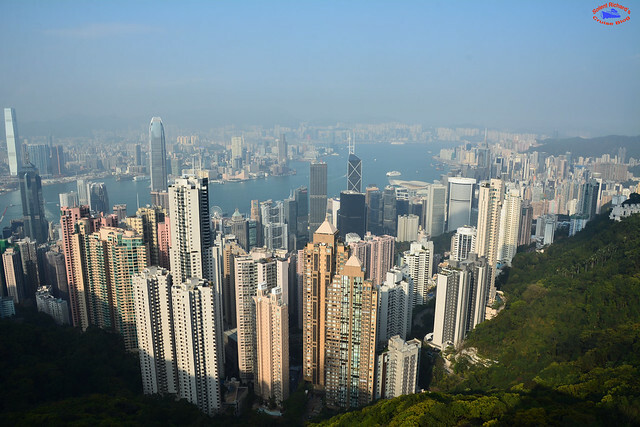 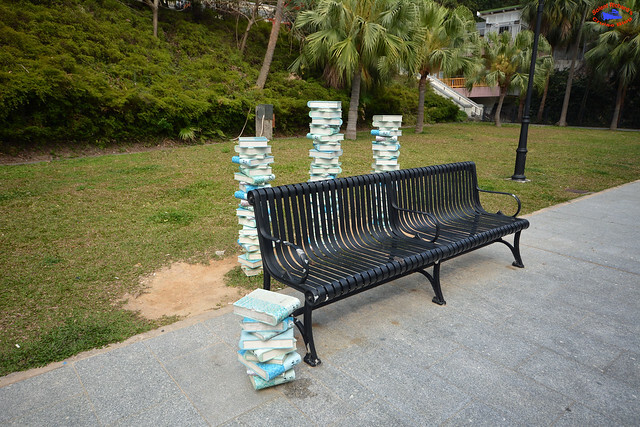 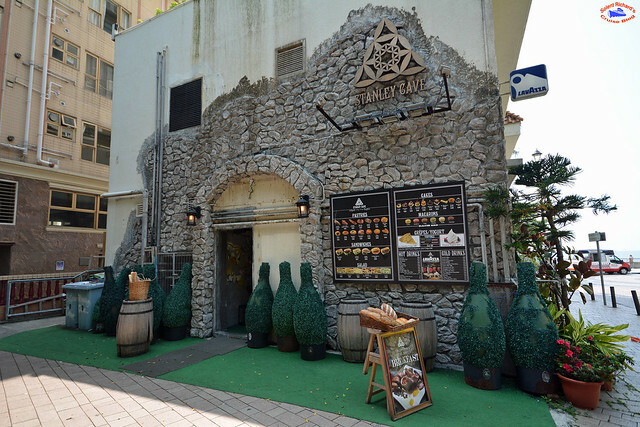 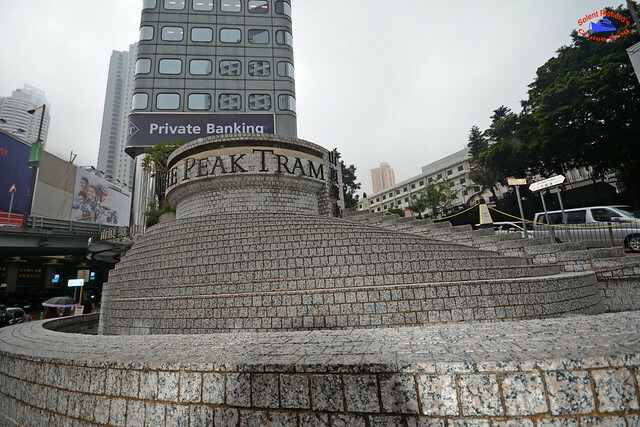 …we thought about doing something a little different, while also taking in the recently added ‘Sky Terrace’ on Victoria Peak. 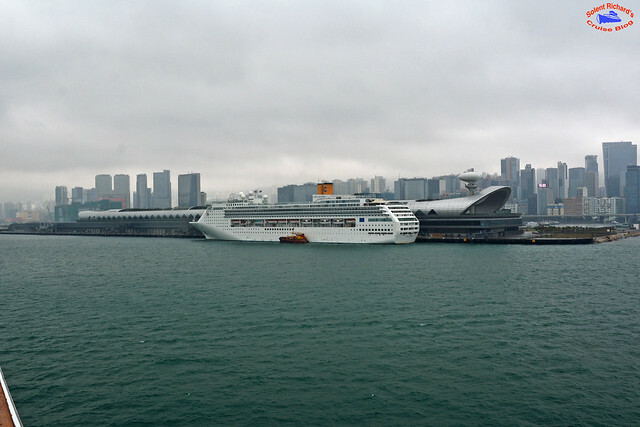 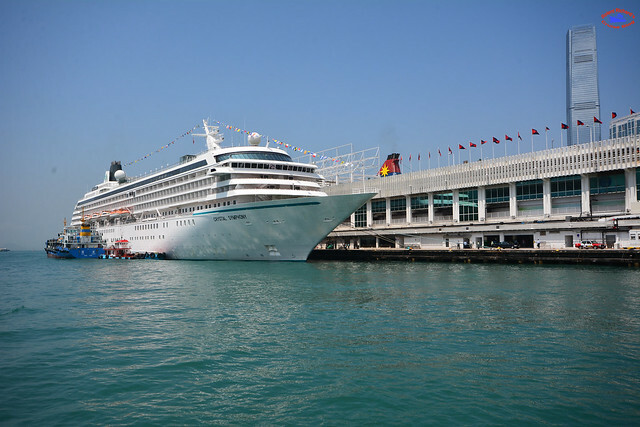 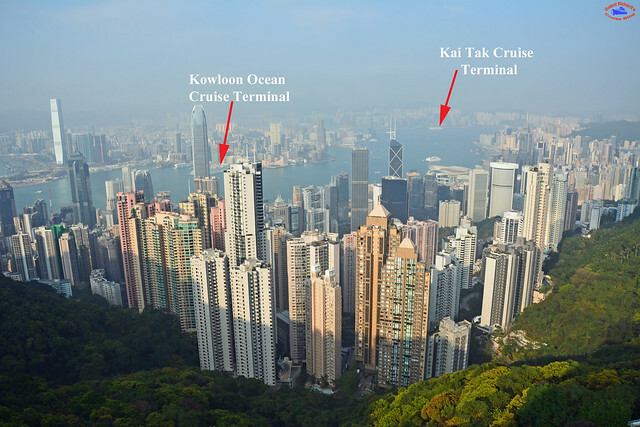 The Kai Tak Cruise Terminal is not served by the Hong Kong MTR and getting to and from there is best served by either taxi or cruise line shuttle bus. 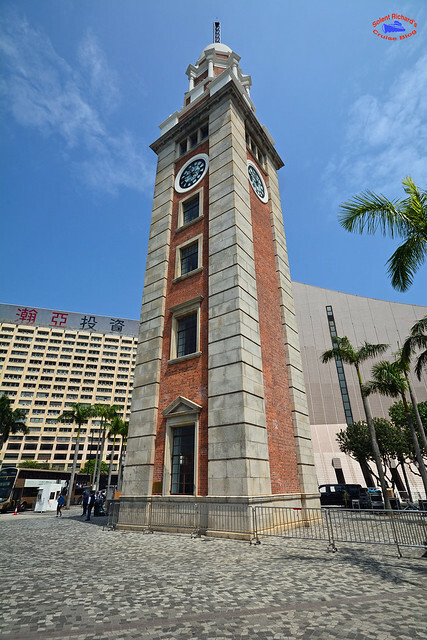 Standing 44 metres high the Old Clock Tower was erected in 1915 as part of the old Kowloon to Canton railway terminus. 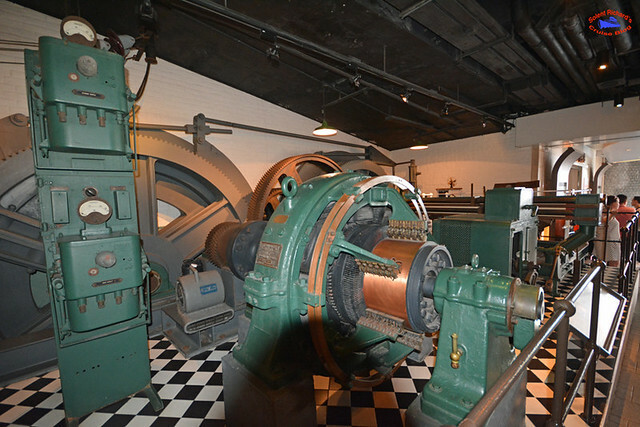 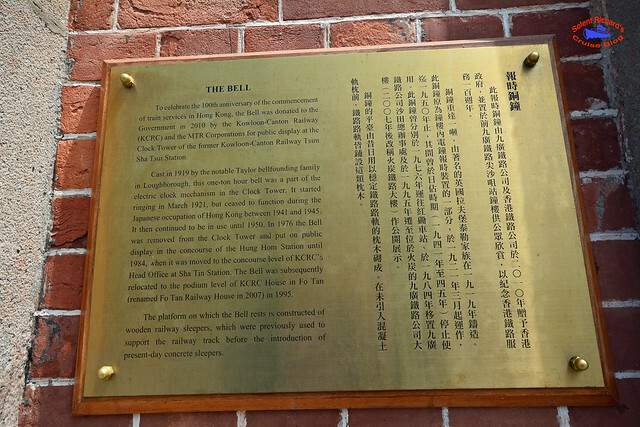 Though the terminus has long gone the tower is a preserved monument to the age of steam…. 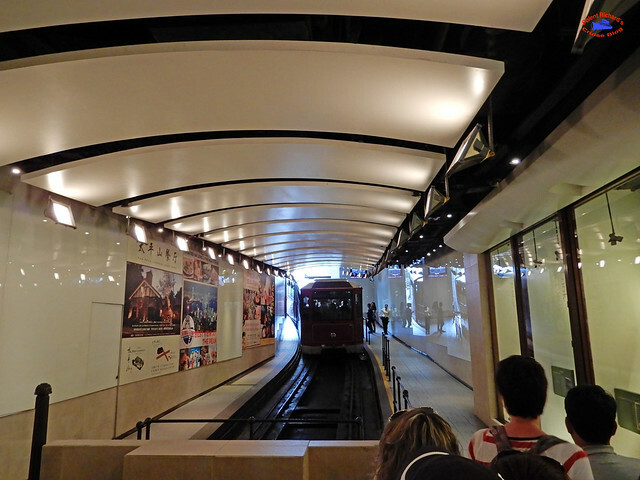 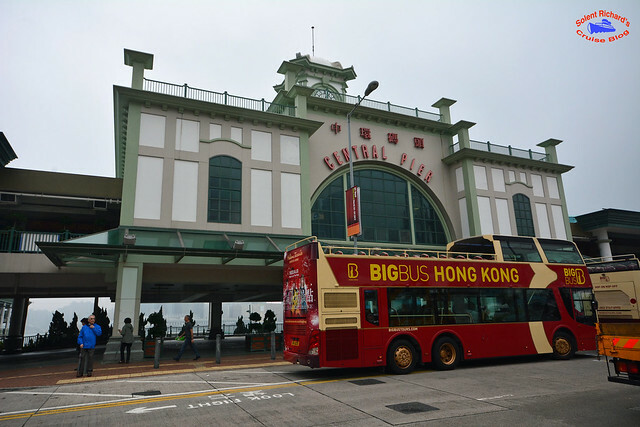 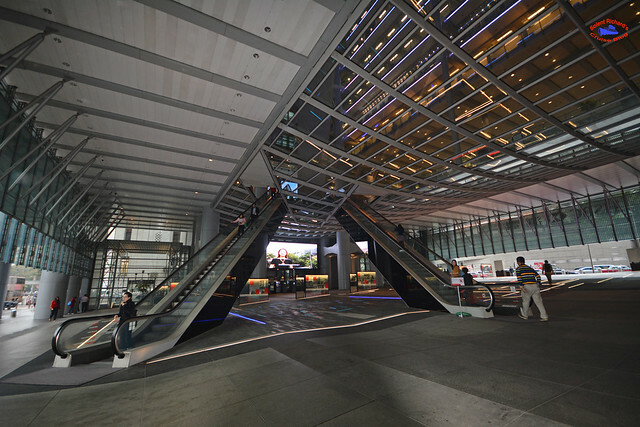 For anyone already on the Hong Kong side the Exchange Square Central Bus Terminus is also served by the ‘Central’ and ‘Hong Kong’ stations of the MTR Metro system. 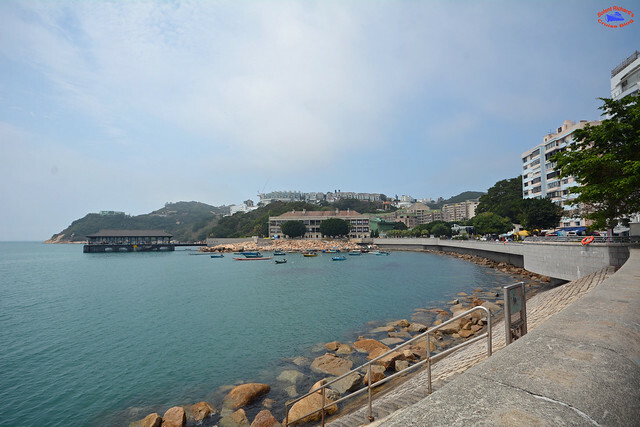 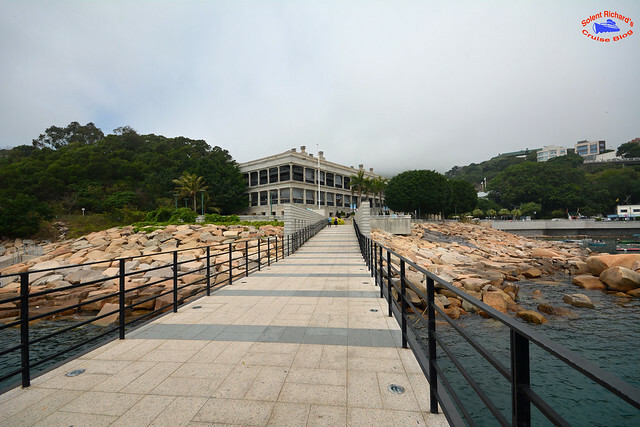 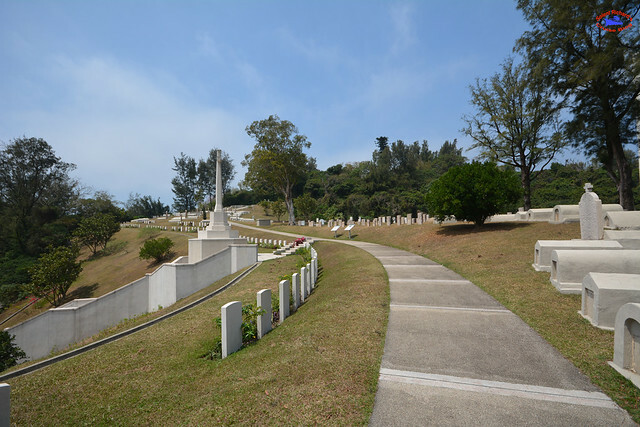 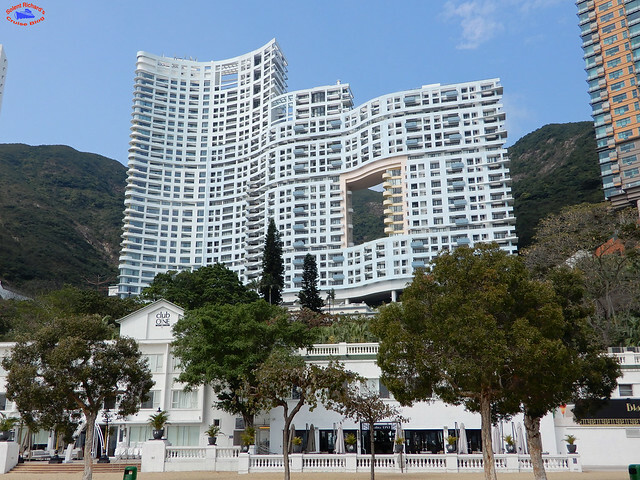 We intended to travel to the opposite side of the island and visit the towns of Stanley and Repulse Bay. 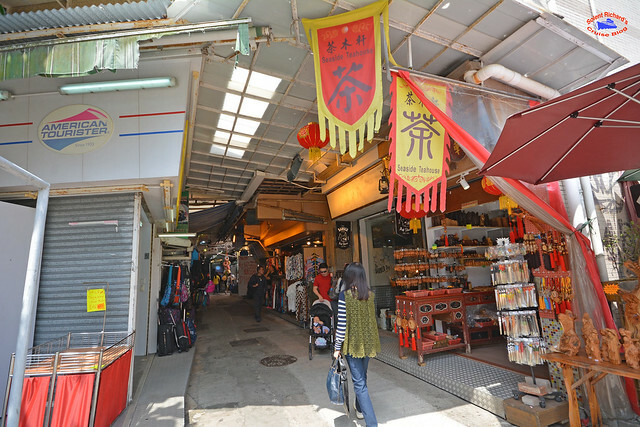 …a maze of stalls and shops vending everything under the sun and at prices considerably less than the glitzy shops now found on the other side of the island. 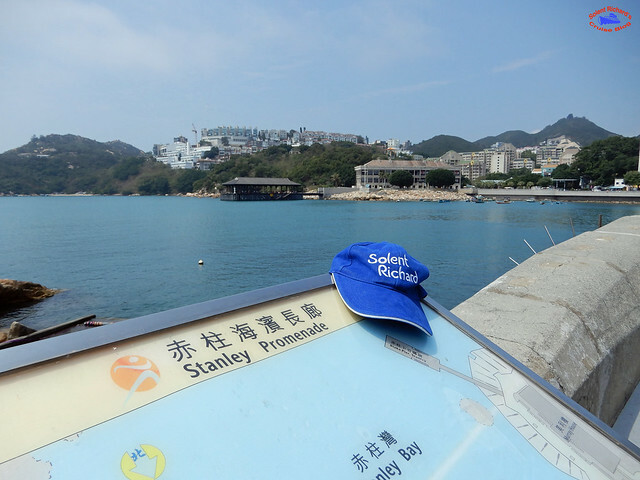 Blake Pier has had a strange existence, wandering around Hong Kong until finally it has come to rest in Stanley Bay. 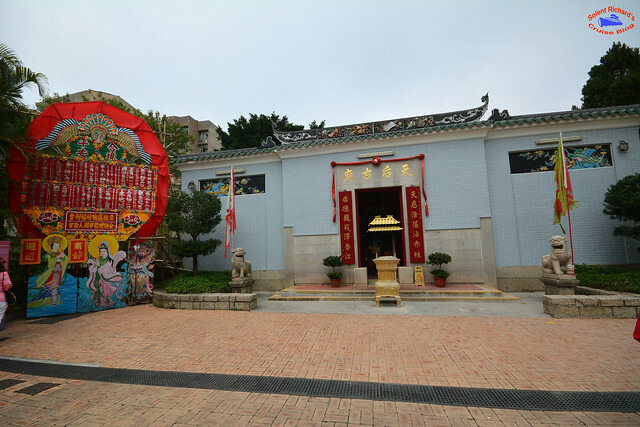 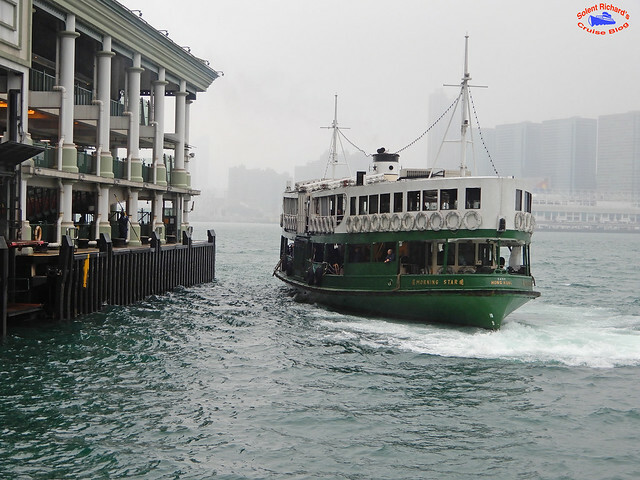 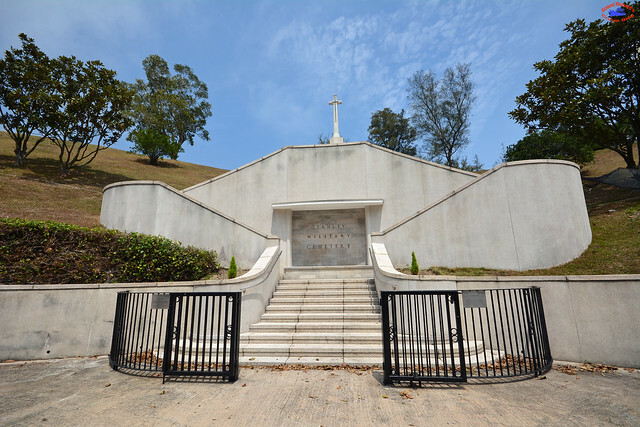 It was always the traditional landing place for Hong Kong’s Governors, visiting royal dignitaries and other VIPs. 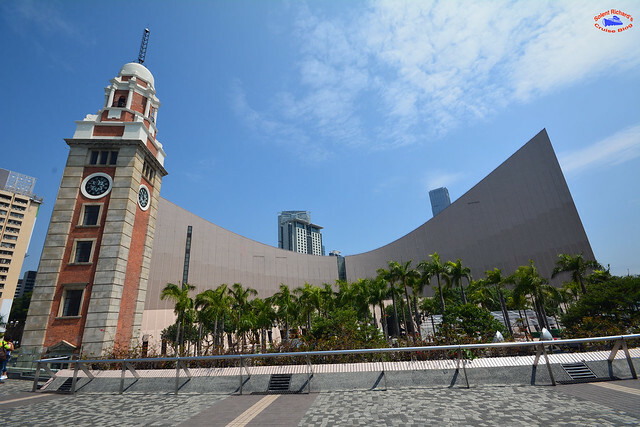 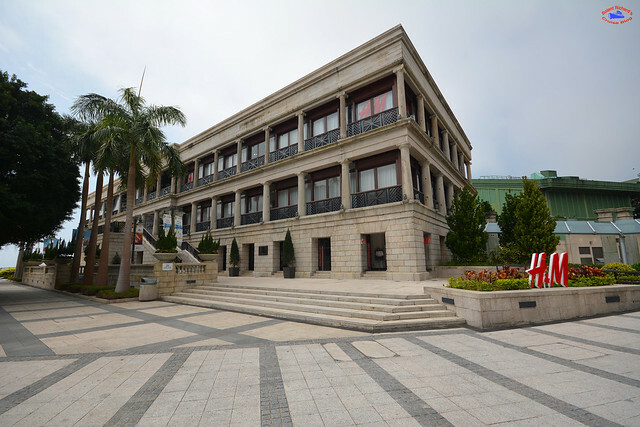 This 170 year old, restored colonial building was originally part of Murray Barracks and was situated in what is today the business district of Hong Kong. 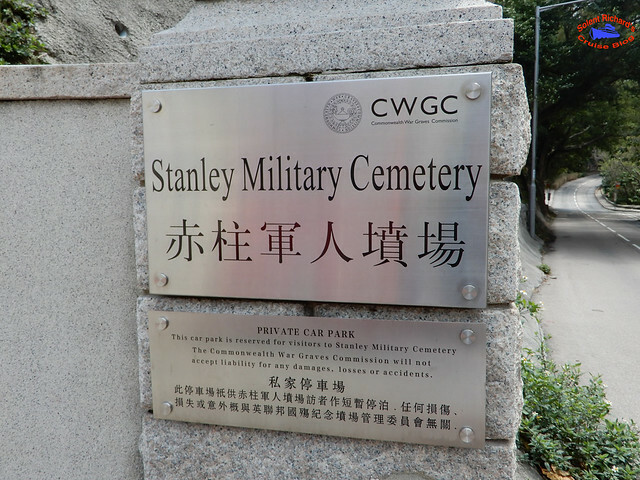 At this time it served as Officers’ quarters. 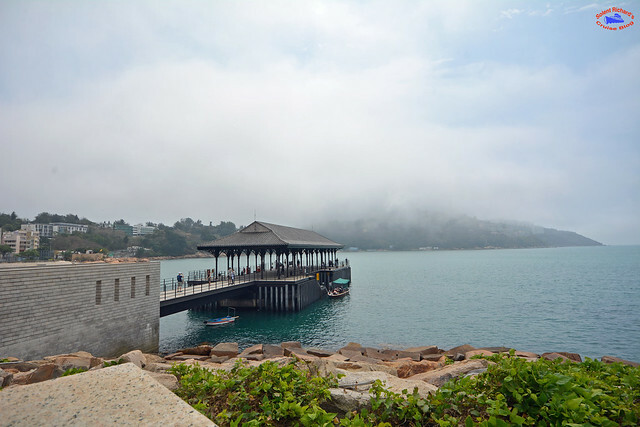 In 1982 it was dismantled and transplanted to the Stanley waterfront, where is is now home to a number of restaurants,some of which have great sea views…. 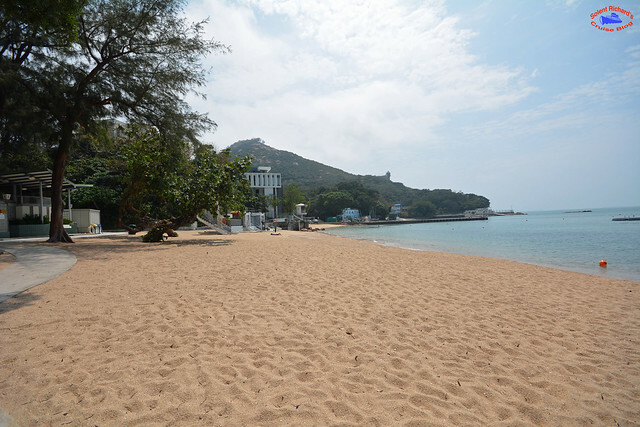 Reasonably secluded St Stephen’s beach benefits from changing rooms, toilets and showers, and netted perimeters to protect swimmers from sharks, in addition to a number of barbecue pits…. 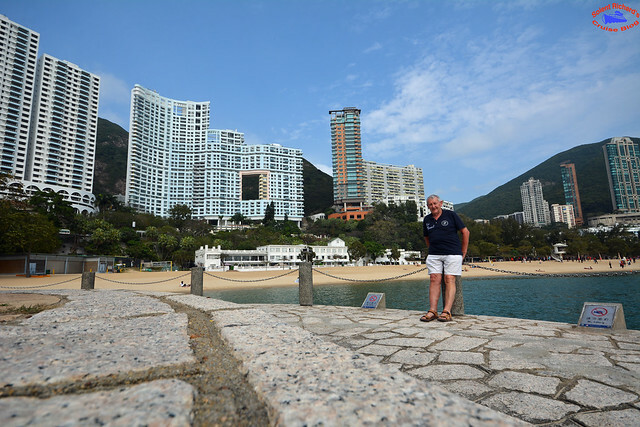 Having enjoyed our time in Repulse Bay we again caught the No. 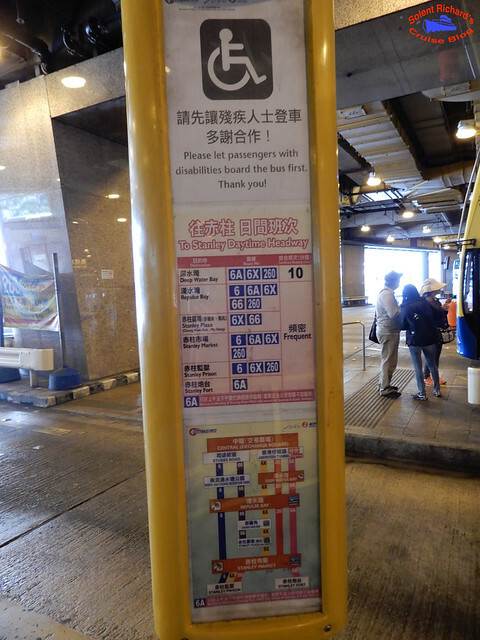 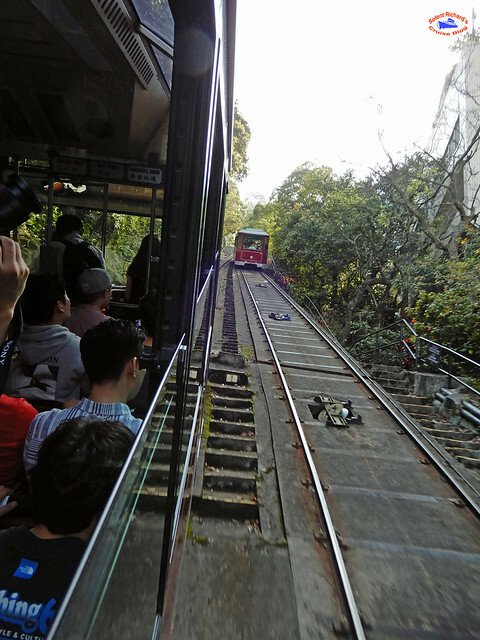 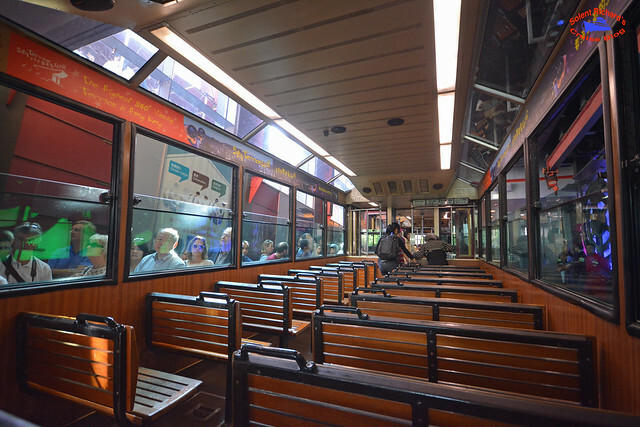 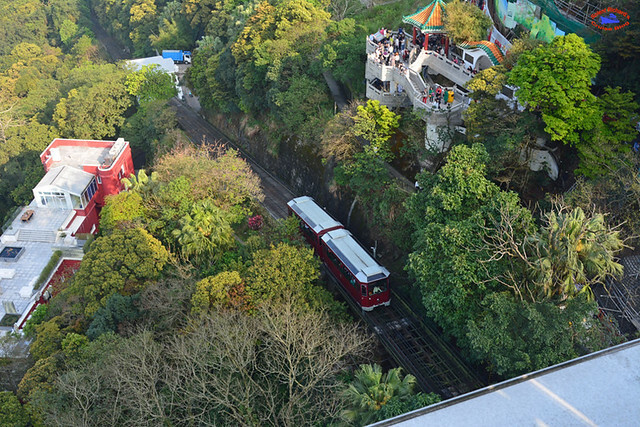 6 bus and headed back to Hong Kong Central’s bus terminal and our Peak Tram ride to Victoria Peak. 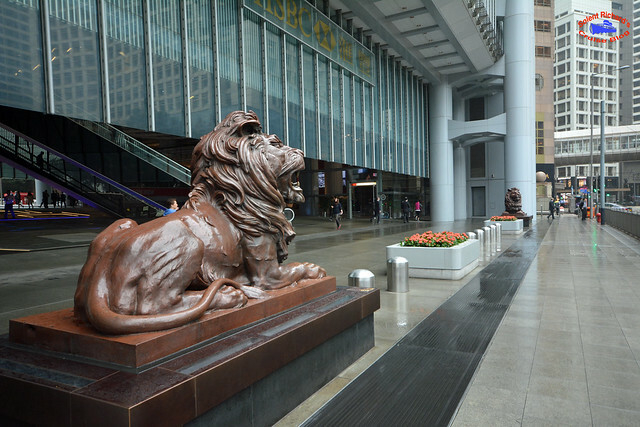 ….after admiring the Lions outside…. 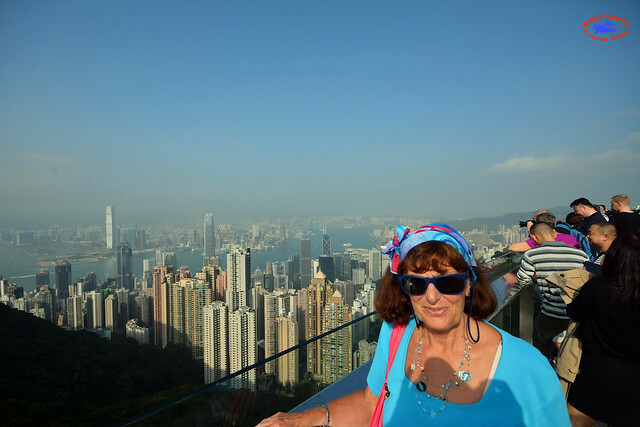 Tickets are on sale and I would certainly recommend purchasing the package that allows entrance to the ‘Sky Terrace’ – more about that later. 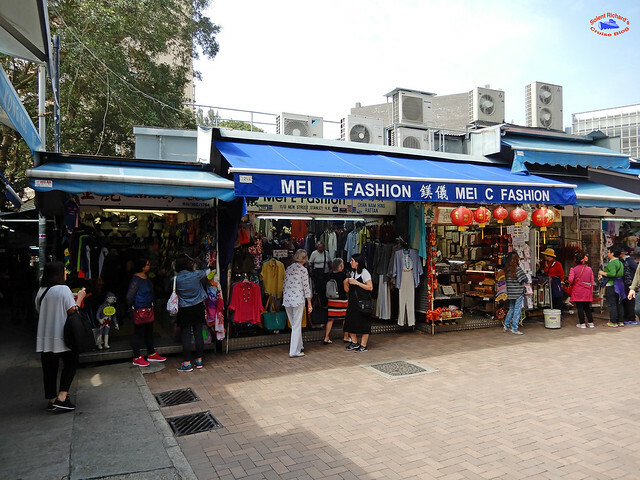 At the top there is a large complex of shops, restaurants and cafes. 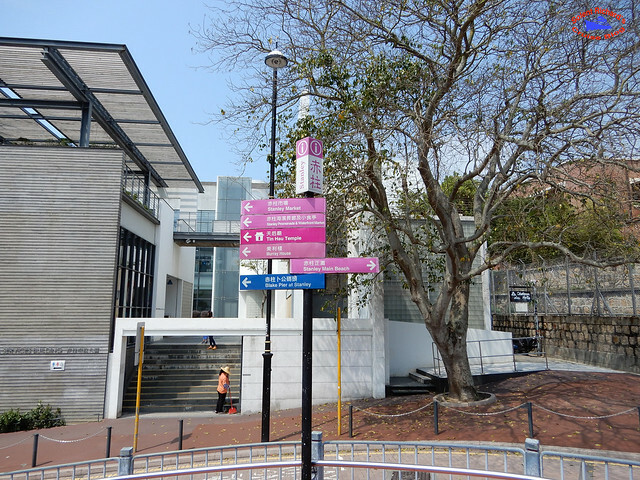 Those passengers who have opted for the Sky Terrace just follow the signs for same. 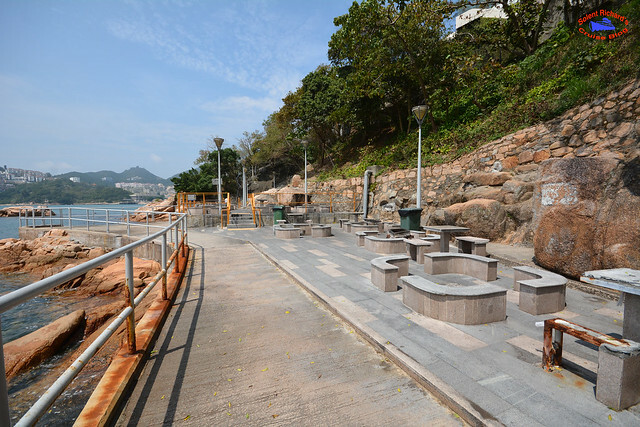 The Sky Terrace is a relatively new feature and offers the best views over Hong Kong Harbour though there are other walking routes along Victoria Peak. 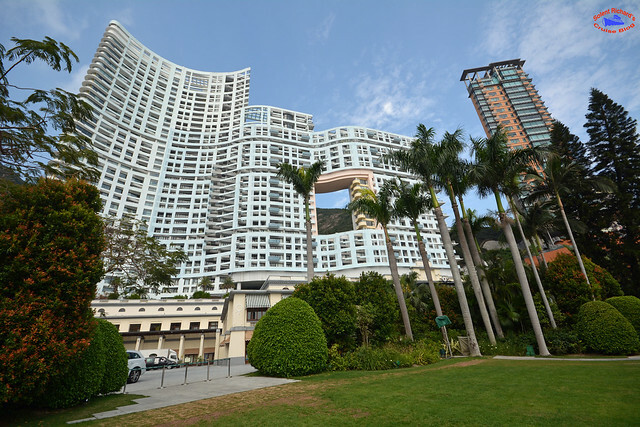 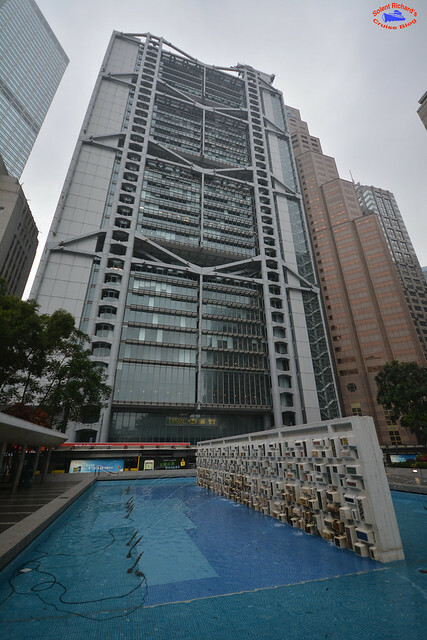 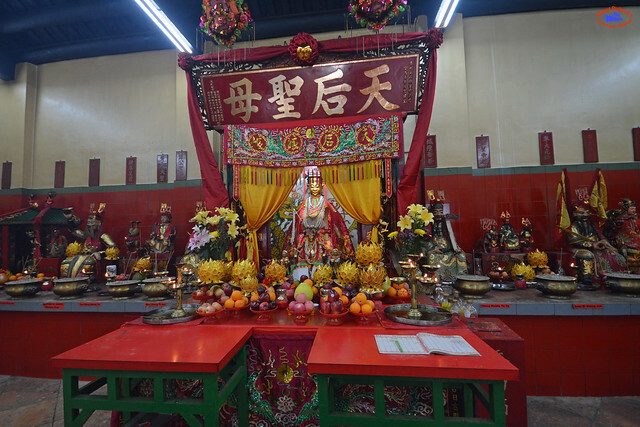 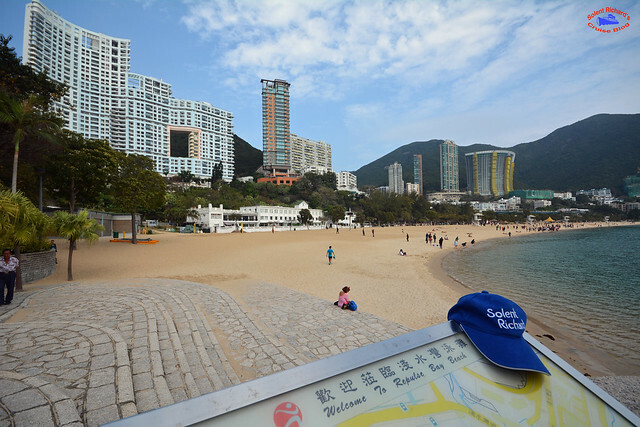 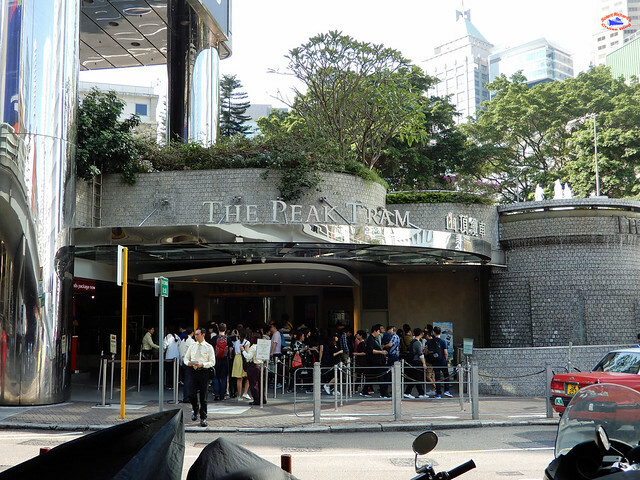 It should also give an idea to those who may wish to spend a day on the beach while on a return visit, or find somewhere a little more laid back than in the districts of Wanchai and Kowloon. 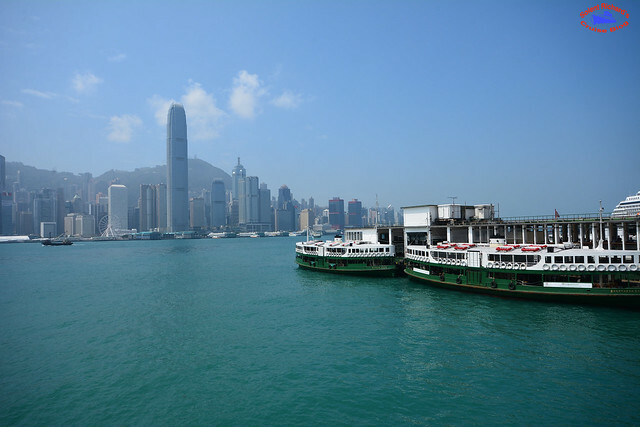 If you have enjoyed this review of Hong Kong and would like to be amongst the first to hear of new reviews including a forthcoming cruise review of Carnival Dream and a Mississippi river cruise onboard the American Queen, plus Solent Richard’s next port reviews featuring New Orleans, why not join over 600 followers by clicking on the ‘Follow’ link on the front page. 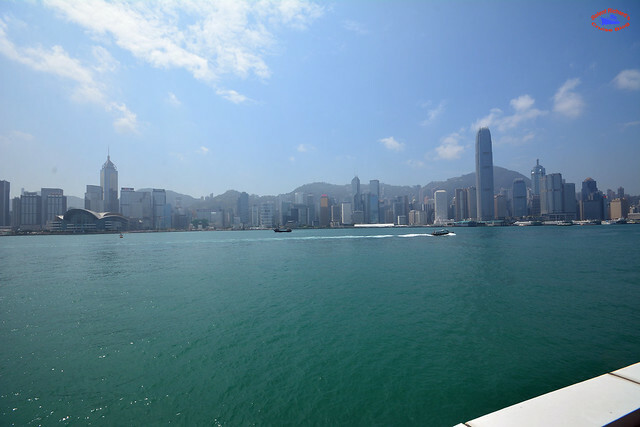 Hong Kong is such a fantastic place! 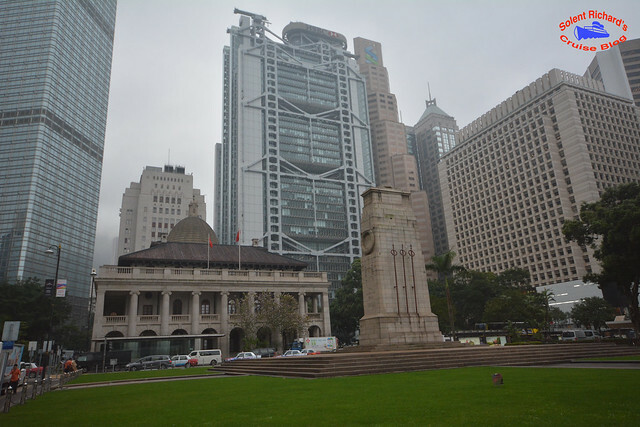 We fell in love with the city as we visited first time this year. 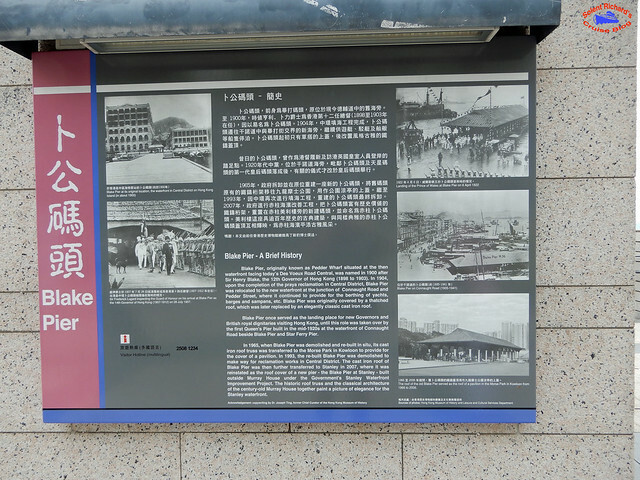 It is an exiting mix of things from East and West. 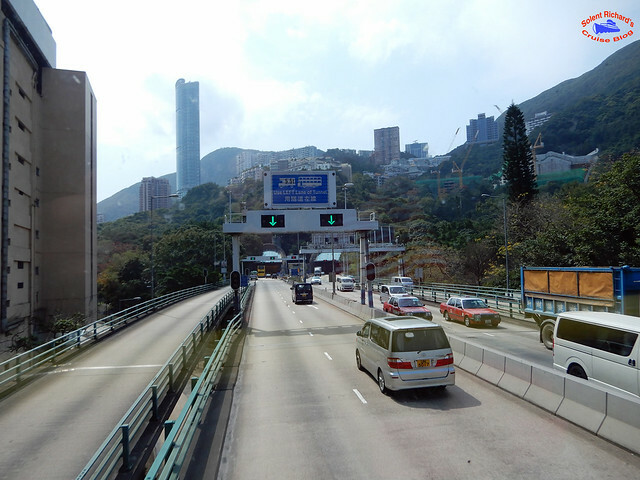 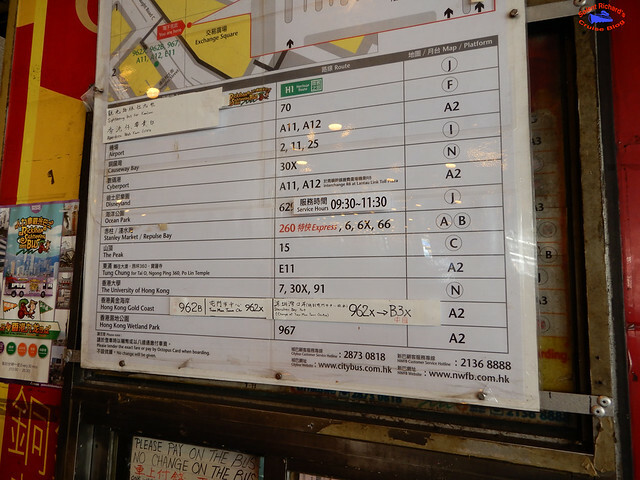 We stayed some nights in HK, some on the Kowloon side and actually before arriving, also in Macau. 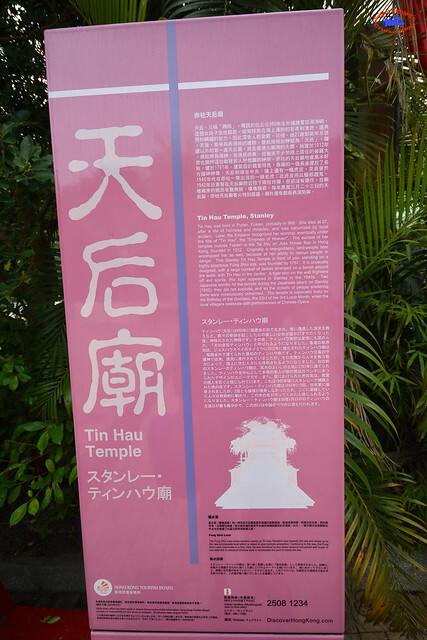 A warm suggestion to that one too, if you haven’t been. 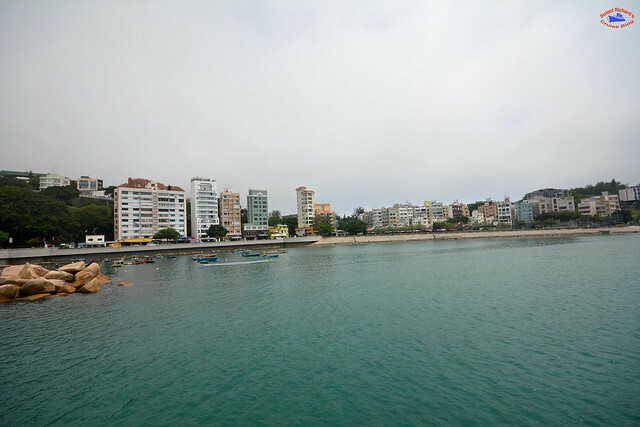 And before going home, we visited Taipa as well.